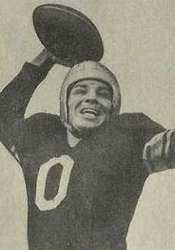 John Louis "Johnny" Clement (October 31, 1919 - December 11, 1969) was an American football player. As of 2008, he is the only Pittsburgh Steelers player to wear 0. He was also an officer in the U.S. Army Air Corps during World War II.